Out of all the great features of the iPhone 4S I have to say that Siri takes the prize. 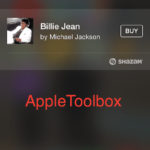 Sure you might say that voice controls are nothing new but Siri takes it to a whole new level. Even the Google voice services built in Android pales in comparison to Siri. The experience is different, better and absolutely amazing. Siri makes it easier to get directions, send emails, send text messages, get reviews and recommendations on the best restaurants and more. With Siri it is also easier to set reminders, alarms, schedule appointments and browse the web. You know how you have to eventually give up in frustration with other voice commands? Not so with Siri, it understands just about everything and that is no joke. I’ll give you an example. My friend from Europe was visiting and one occasion we tested Siri with his heavy French, UK accent and Siri understood every word and was able to carry out the command. 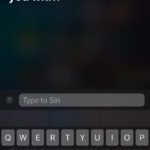 Siri bridges accents! You might have to adjust the settings to get it to work but it does. Now let’s consider something. I have a few devices, and I am sure that you do too, where you do not use all the features. Yeah, supposedly we request all the features upon purchase but often fail to use them. 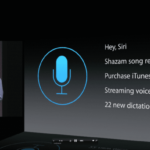 It has been suggested that Siri will be just one of those features that is great to have but will be rarely used. I beg to differ with this thought. Of course it will be an attractive feature that sells consumers on the phone but it will also be something that will be used. Once consumers try it a few times they will be hooked just like me. Aside from that I can say without a doubt that competitors will soon launch similar devices to rival Siri. This is revolutionary and we all want to live and get in on it. I want to dare say that perhaps Siri might even upstage Google when it comes to mobile search by changing the way they do things. Apple has partnered with Yelp and Wolfram Alpha but that might change in the near future as they look to expand the capabilities of Siri. That will be something to truly look forward to. To get Siri alert all you have to do is it press the home button for a few seconds just like you do with other voice controls. 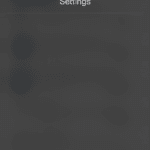 Alternatively you can activate the setting to activate Siri whenever you bring the phone up to your ear. It won’t be activated if you’re on a call though. There is one disadvantage to Siri and it comes with the fact that you must be connected to the internet in order for it to work. This is because Siri uses server side software to decipher your words. For most of us this will not pose too much of a problem. Just so you know you won’s get Siri as part of the iOS upgrade for your other devices and so far the reasons why are all guestimates since Apple has so far not released an official reason. It will also not be available for the iPAd 2 which has the same A5 chip as iPhone 4S.